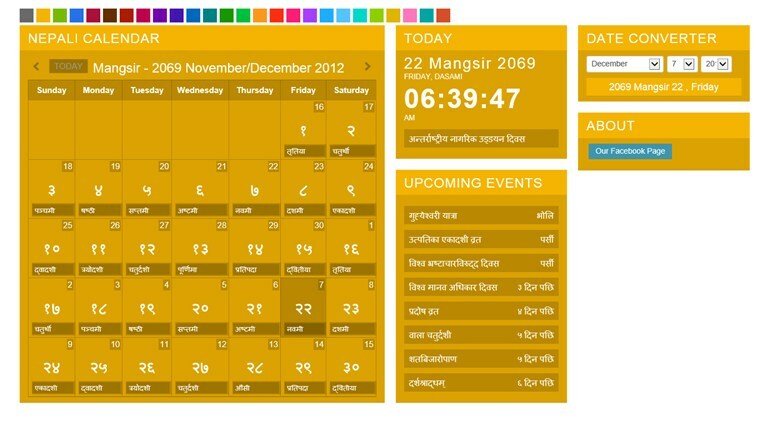 The Nepali Calendar is a traditional lunar calendar used in Nepal for both civil and religious purposes. 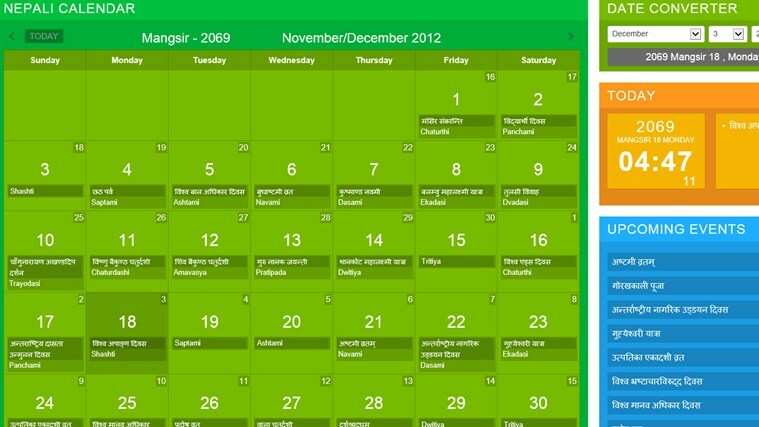 This applicaiton displays monthly calendar with option to navigate to previous or next month. 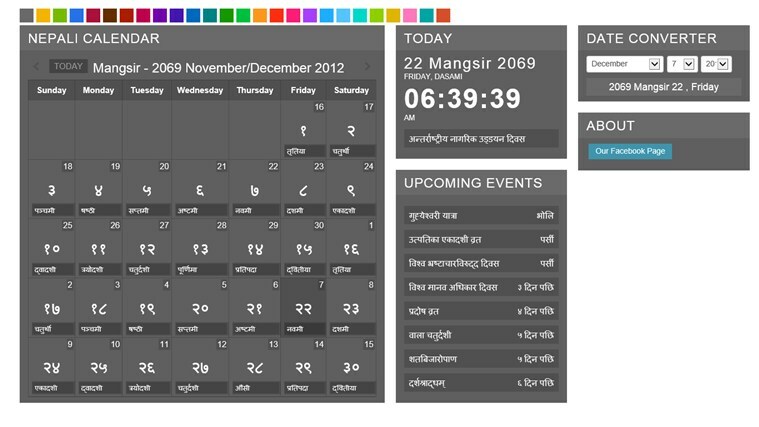 This application also displays current time in Kathmandu, Nepal and displays todays major events and Tithi. This application also allows user to convert AD date to BS. This application presents upcoming 10 major events. This app is localized however some texts are not localized as they don't have exact english translation such text were left in Nepali language. This applicaiton is targeted to user who understands Nepali texts. Allows user to convert date from AD TO BS.